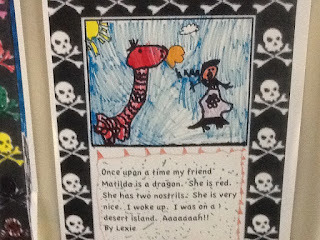 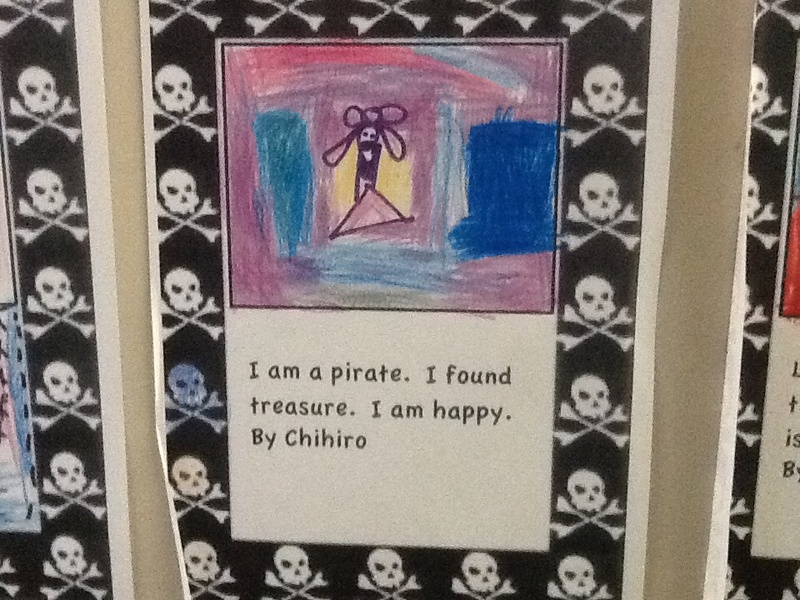 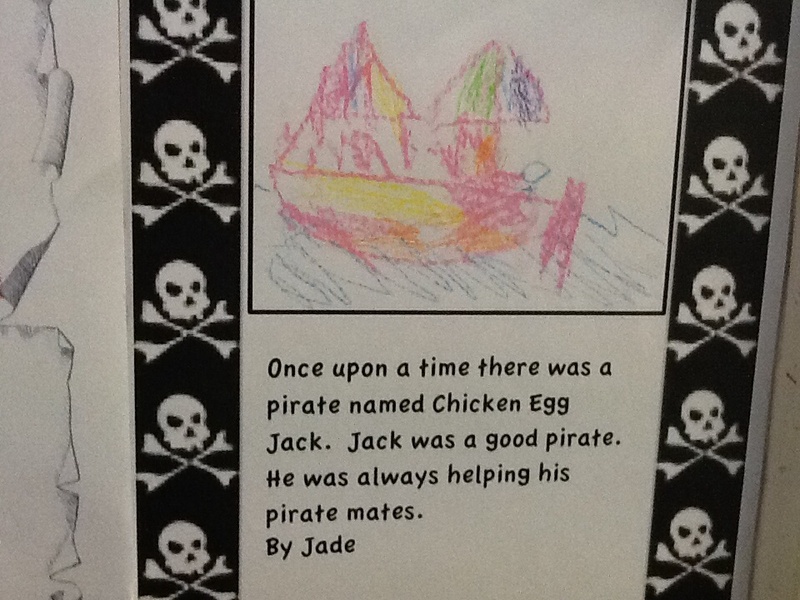 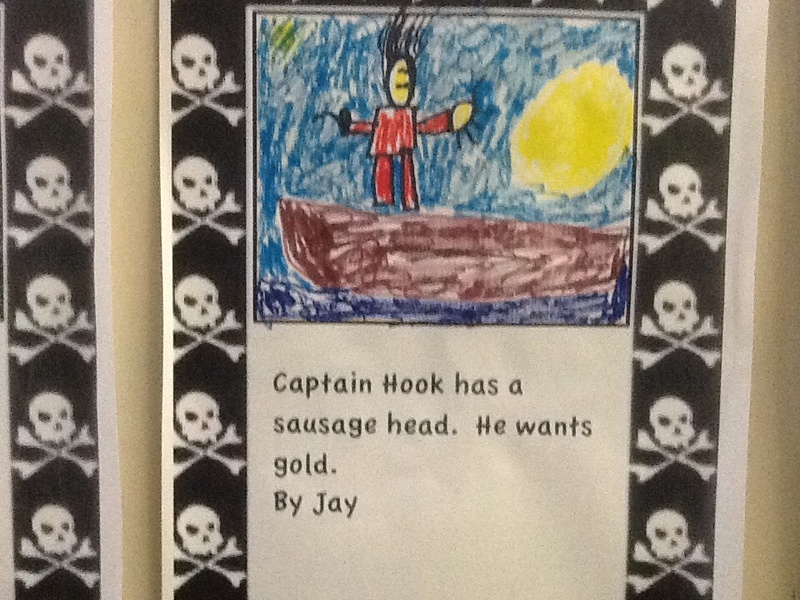 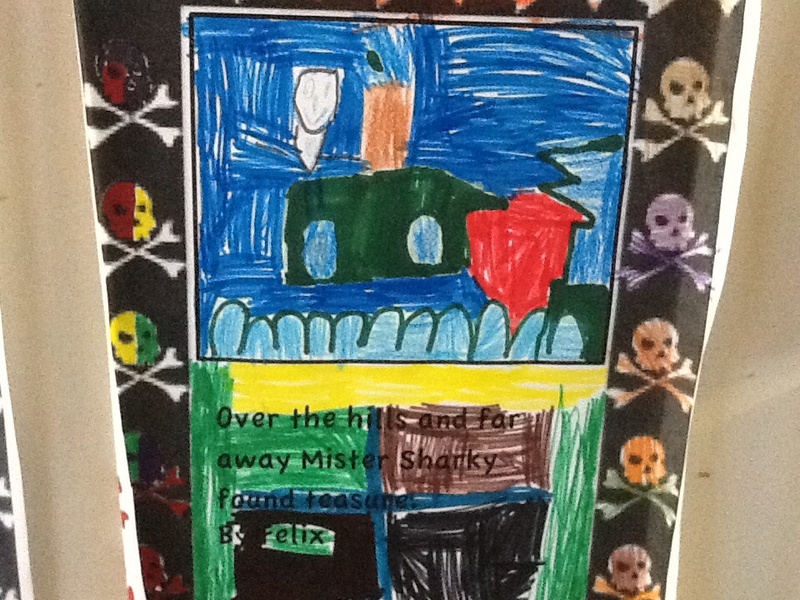 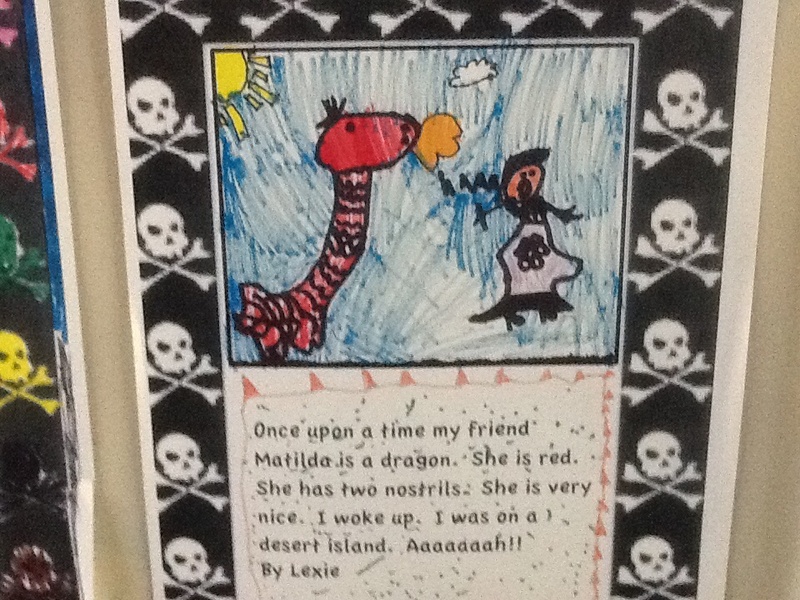 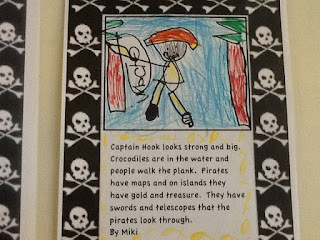 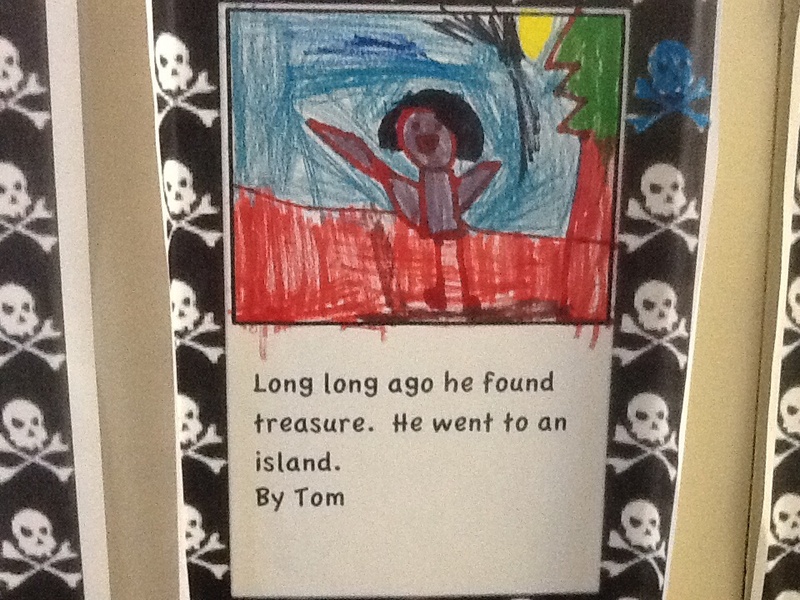 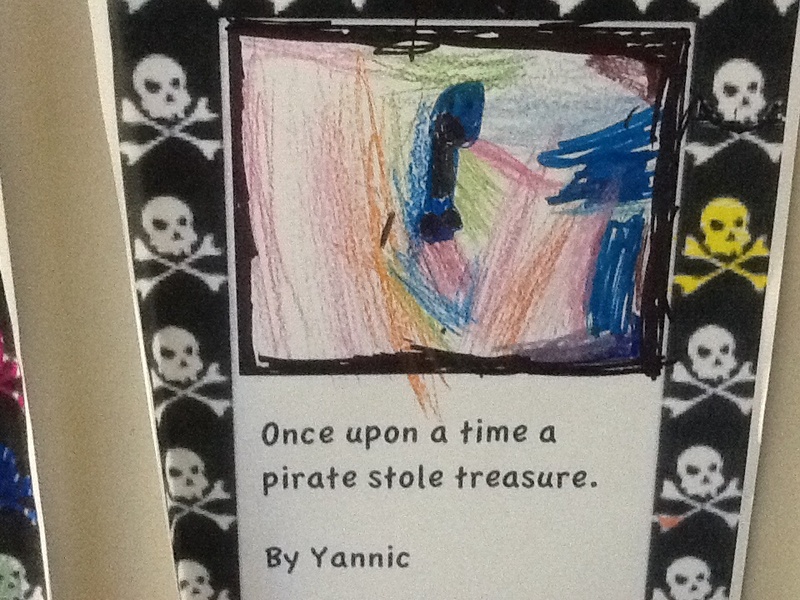 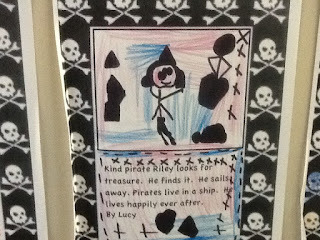 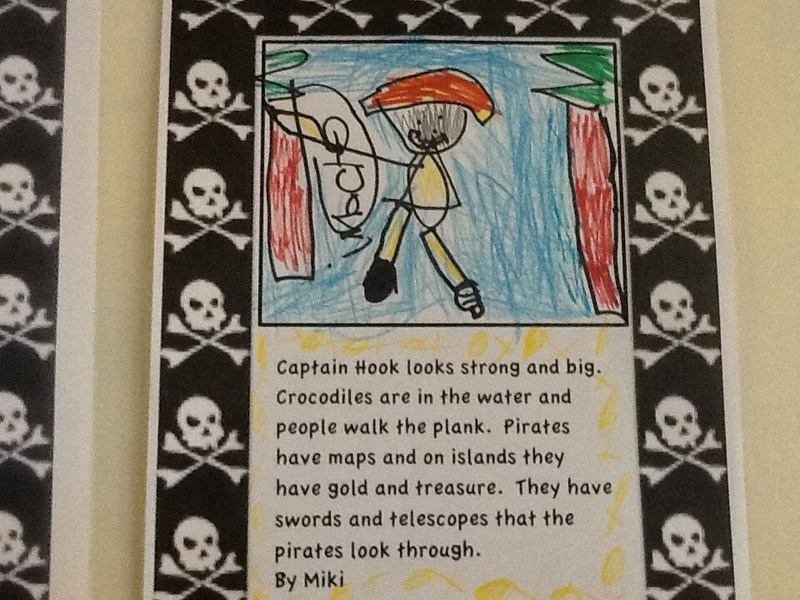 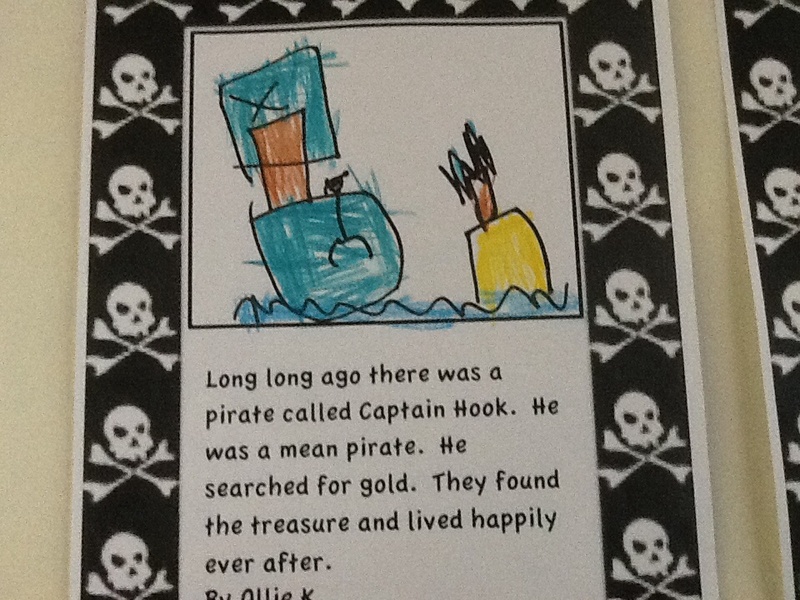 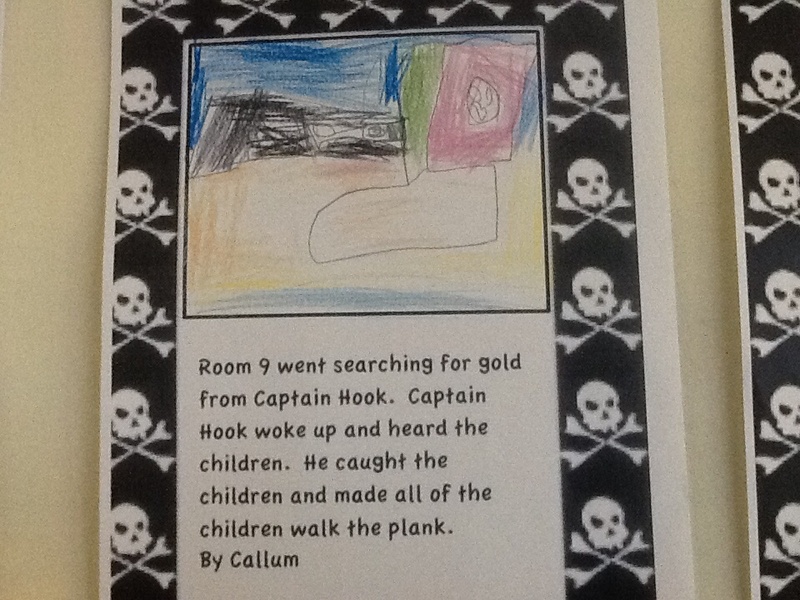 The amazing writers in Room 9 have been busy creating pirate stories! 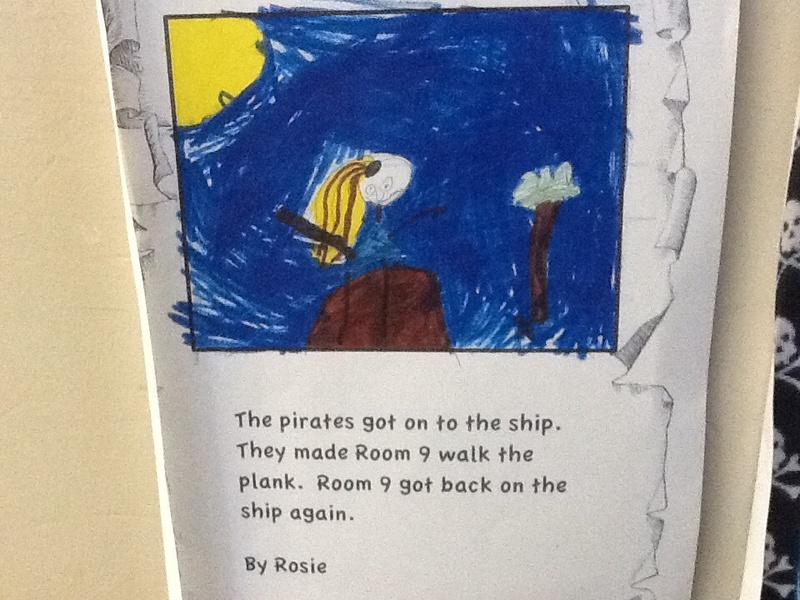 We hope you enjoy reading our stories. 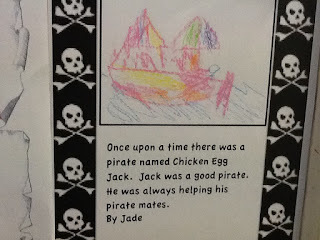 Once upon a time there was a pirate called Jack. 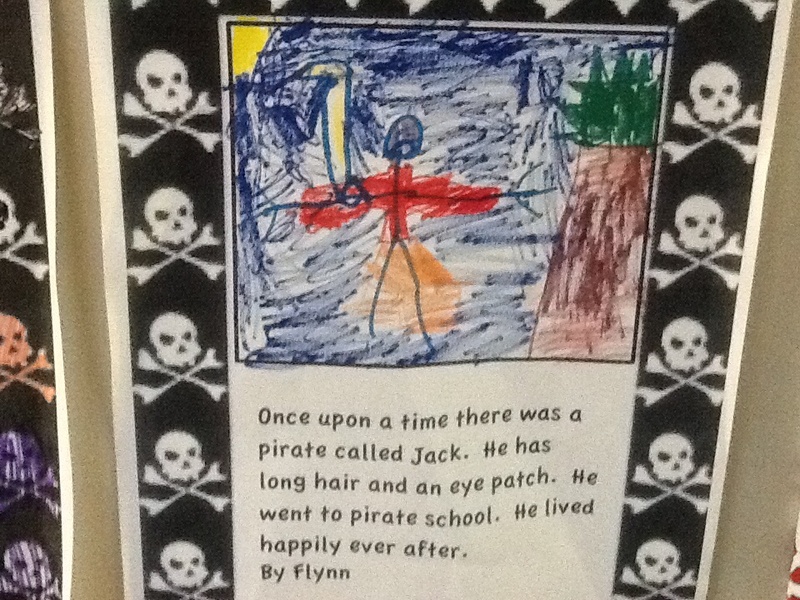 He has long hair and an eye patch. 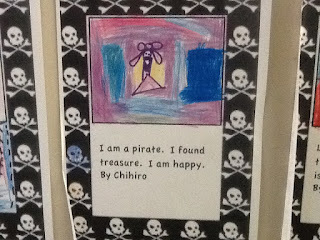 He went to pirate school. 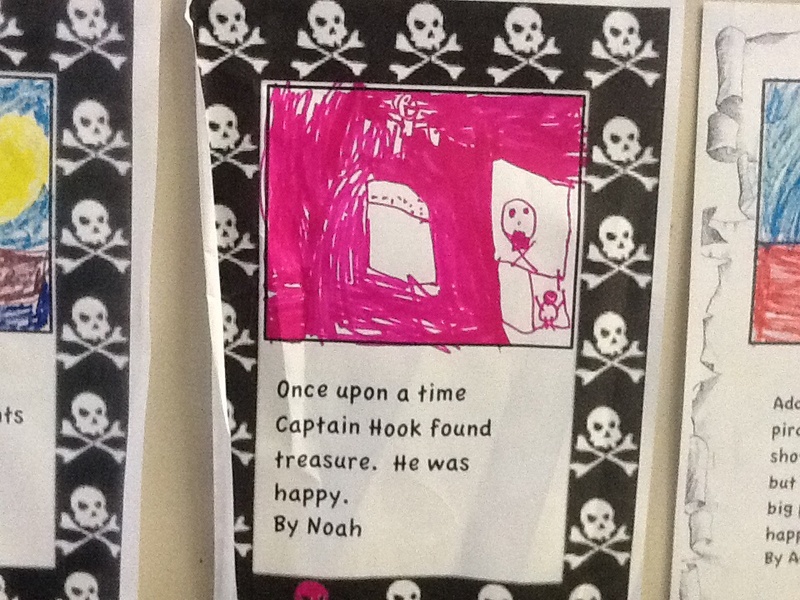 He lived happily ever after. 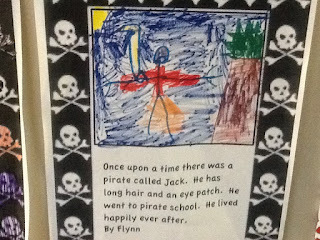 By Flynn. 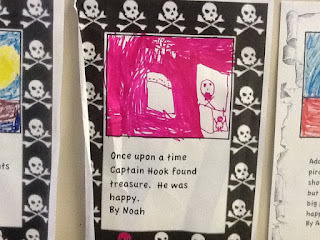 Long long ago there was a pirate called Captain Hook. 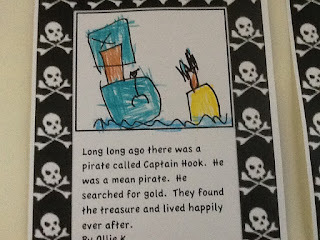 He was a mean pirate. 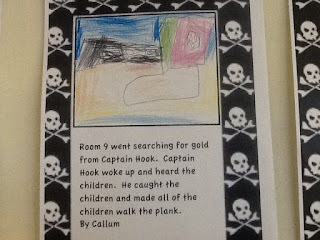 He searched for gold. They found the treasure and lived happily ever after. 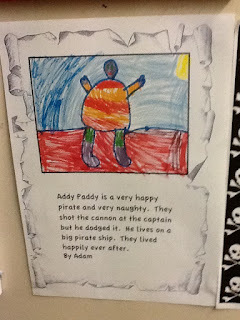 By Ollie K.
Addy Paddy is a very happy pirate and very naughty. They shot the cannon at the captain but he dodged it. 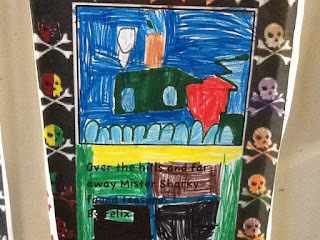 He lives on a big pirate ship. 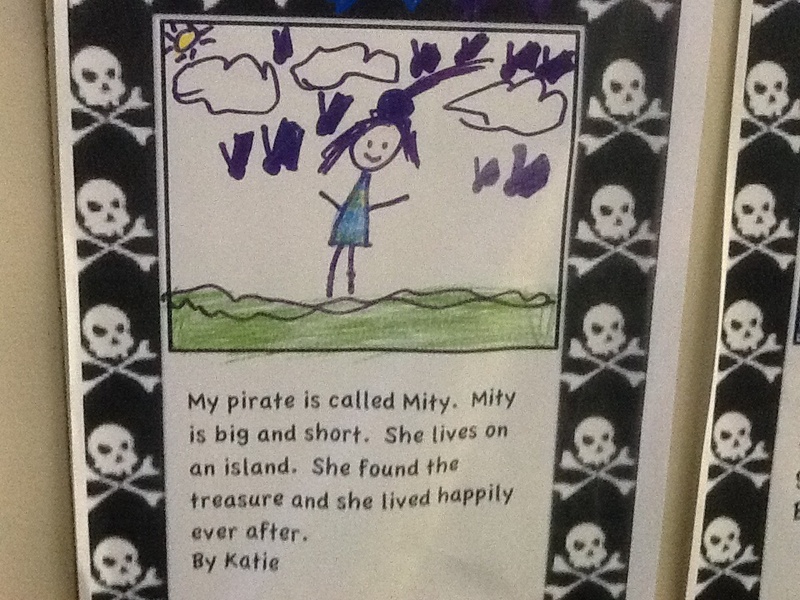 They lived happily ever after. 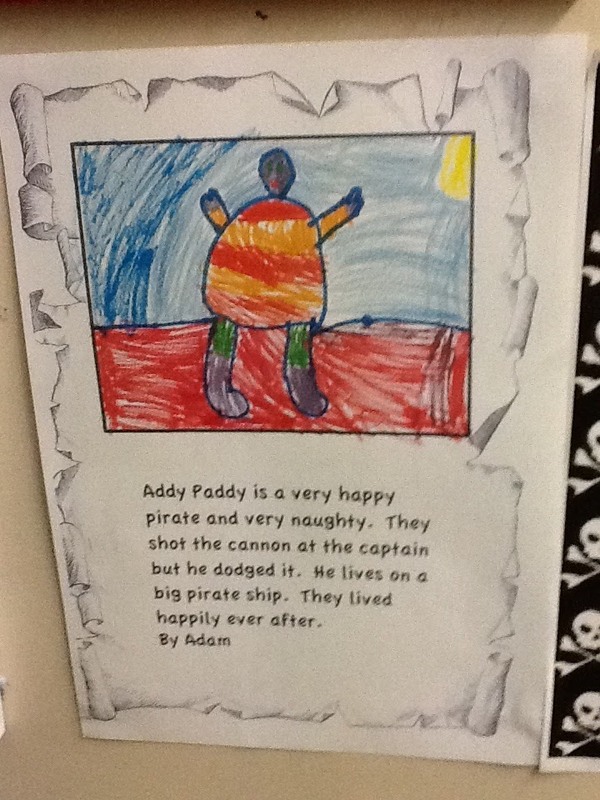 By Adam. 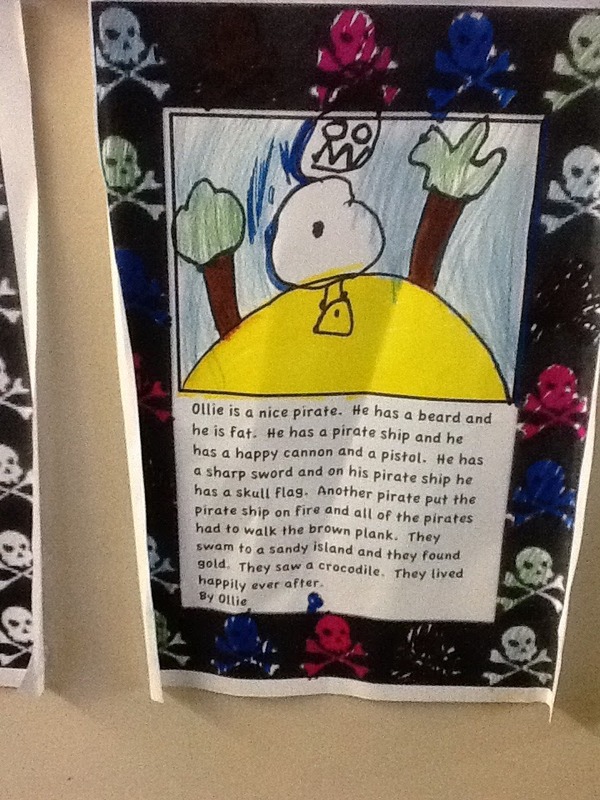 Ollie is a nice pirate. 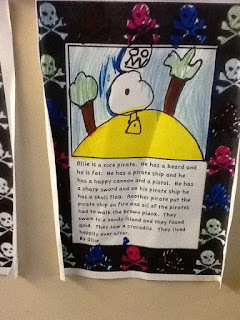 He has a beard and he is fat. 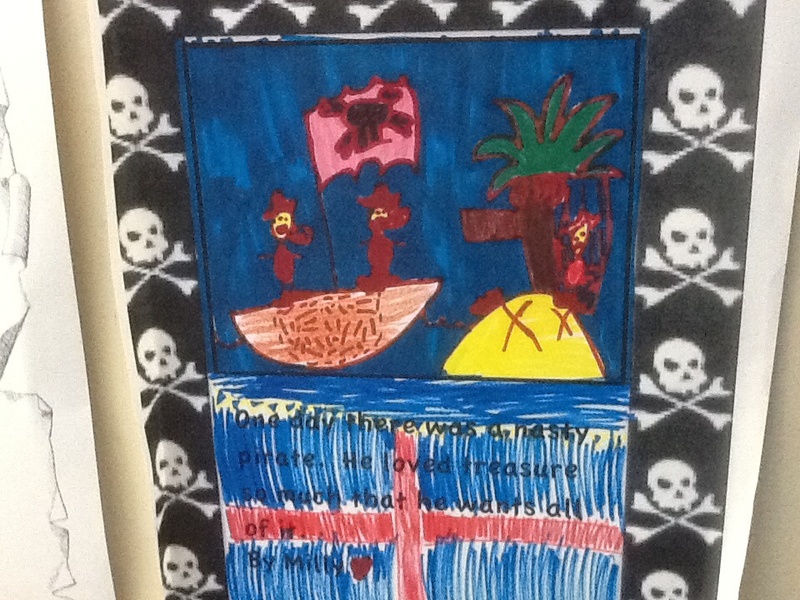 He has a pirate ship and he has a happy cannon and a parrot. 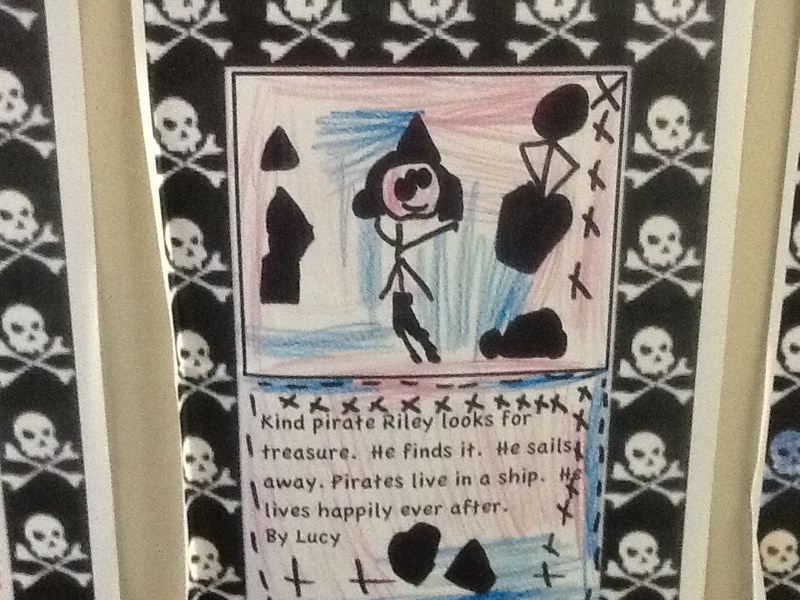 He has a sharp sword and on his pirate ship he has a skull flag. Another pirate put the pirate ship on fire and all of the pirates had to walk the brown plank. 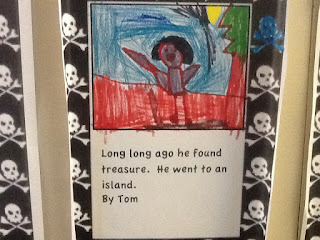 They swam to a sandy island and they found gold. 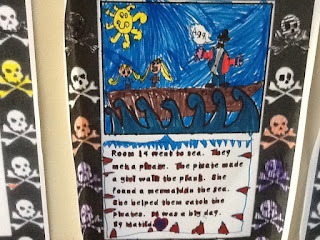 They saw a crocodile. 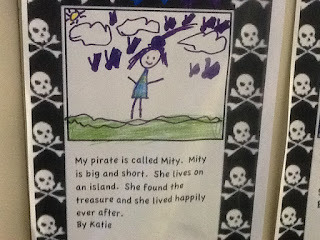 They lived happily ever after. These are fantastic stories. 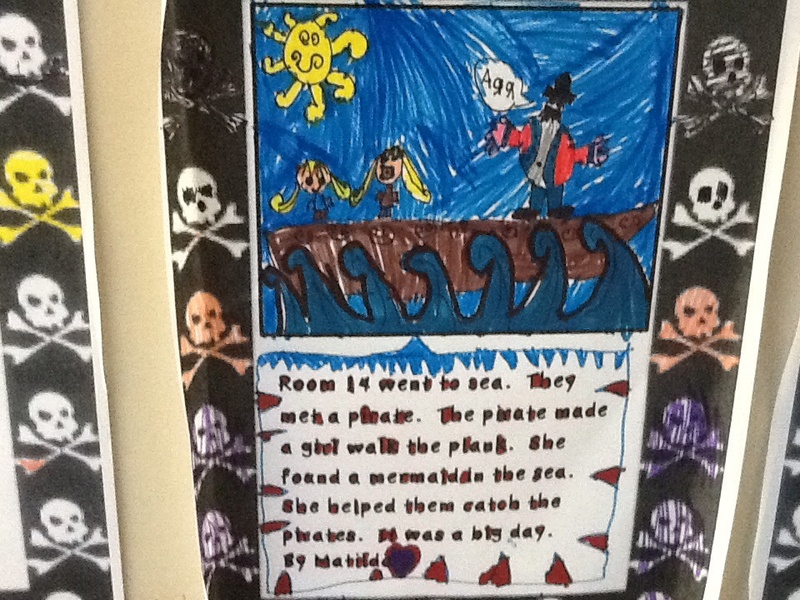 Well done everybody :) I love the pictures!